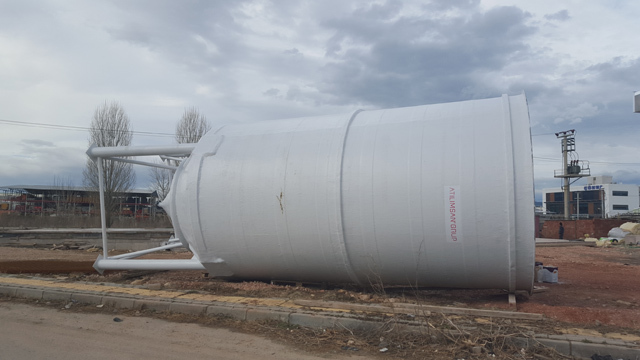 60m3 silo tank is the biggest silo tank production in Turkey as fiberglass. 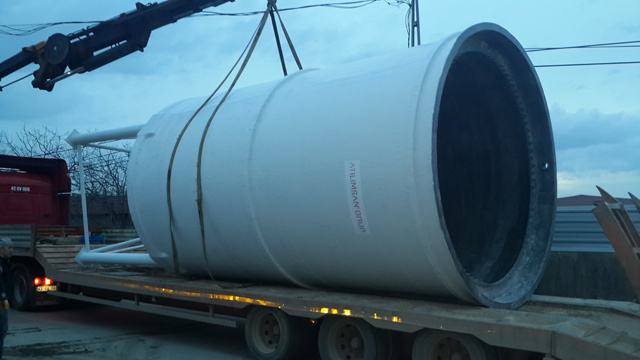 We are working to response all demands from all over the world for all fiberglass products. 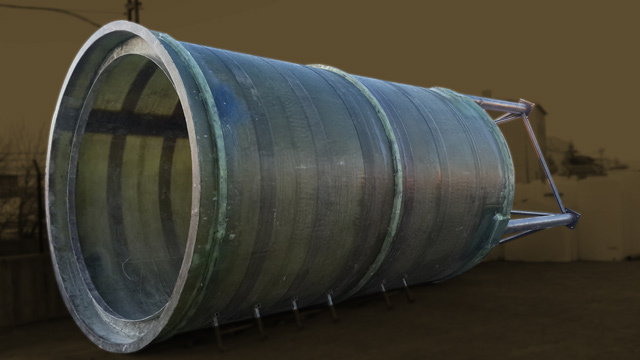 Tank is produced for liquid salt production. 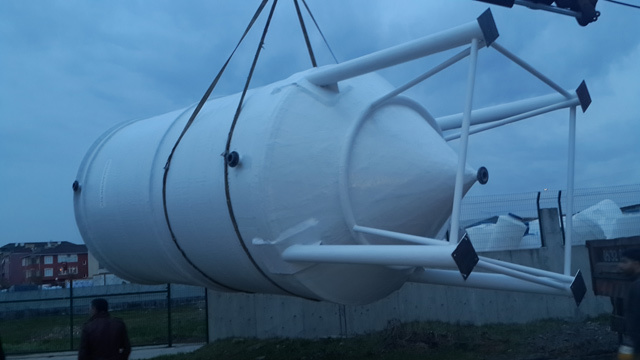 There will pour some chemicals like sulphuric acid, sodium hydroxide in specific concentration rate into the tank. Tank is durable for this process. It is produced with vinylester resin for chemical resistance. Total production is 2 pcs. 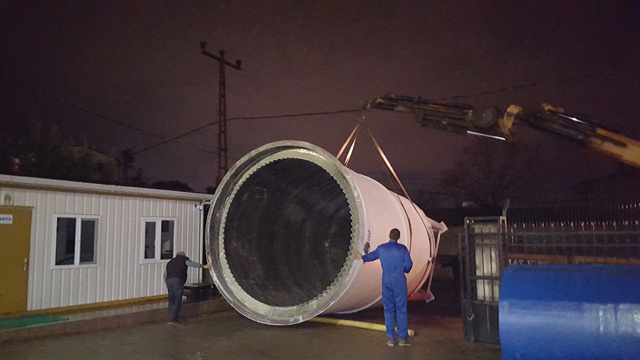 and products are delivered to Ucler Tuz company in Bursa. 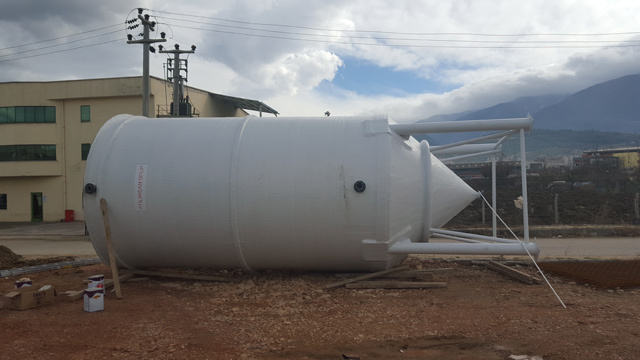 Our tanks are active at production facility in Bursa. 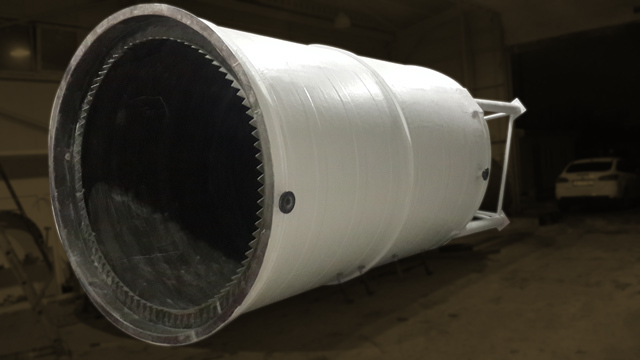 Tanks are produced with vinylester resin. Tanks’ chemical resistance is high. Wall thickness of products is 20mm. There is a sluice system inside of tank. 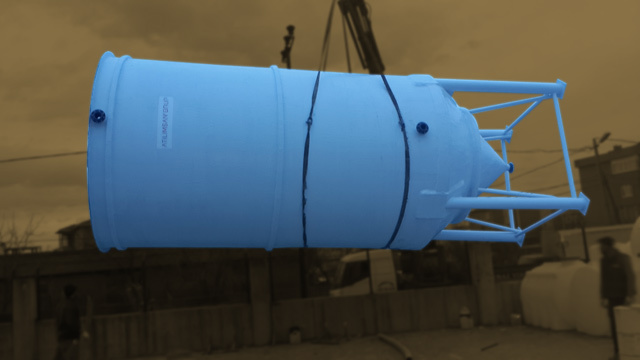 Tanks’ legs are fixed to tank with maximum resistance against to pressure. Dimensions are designated by customer. 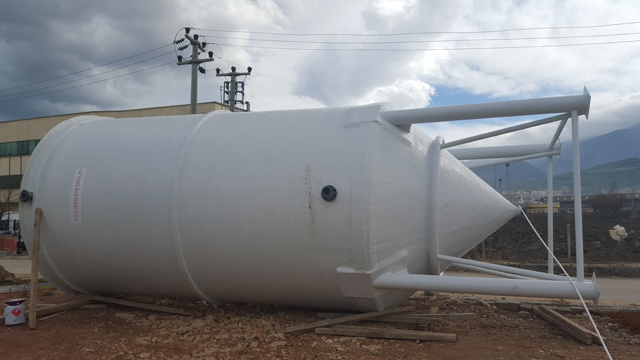 Tanks have warranty for 5 years against to production defects. 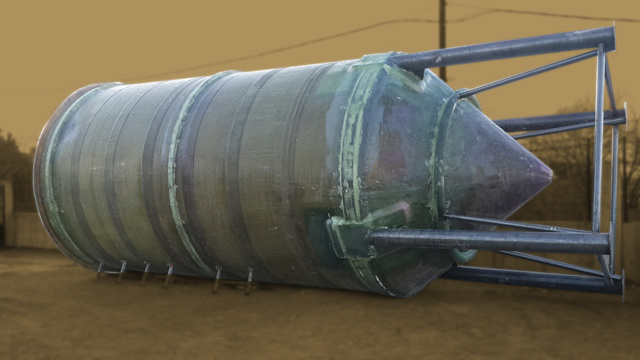 Tank legs have anchorage system. Tank should be fixed to ground. 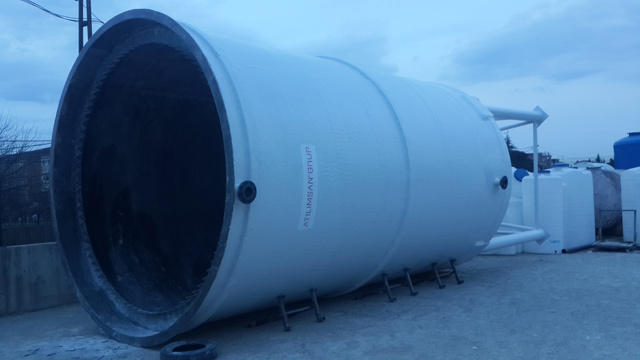 There are iron support system on tank connical side, body and top side. 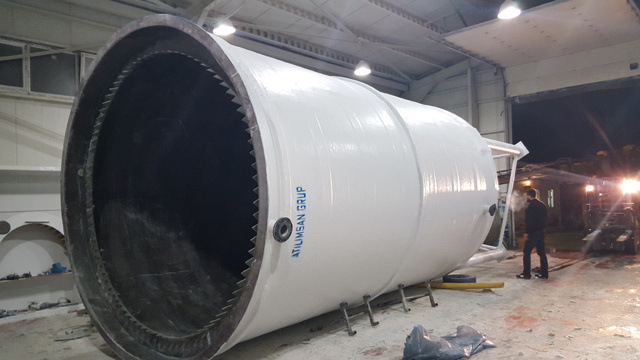 All legs are fixed to each other and all of them are coated with fiberglass against to corrosion. All outlets are pvc and their chemical resistance is high. Tanks are transported with low-bed trailer.